From the "Last Crusade" wave, one of the top figures from this line. Brilliant head sculpt and very nice details all-around. 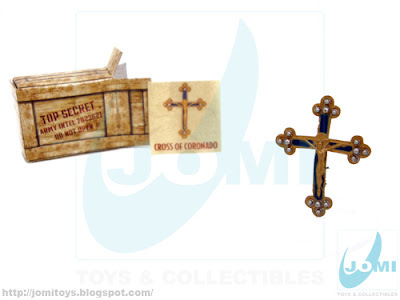 Where it all began: the whip, the ophidiophobia... and the first catch, the Cross of Coronado! 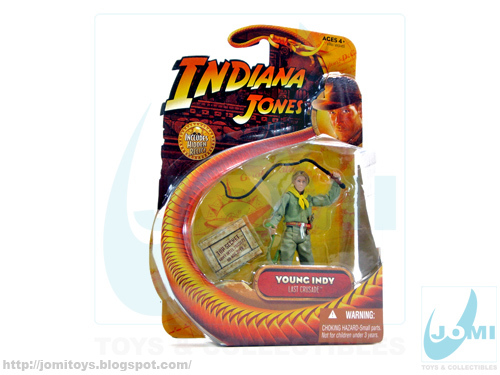 Figure: Young Indy. 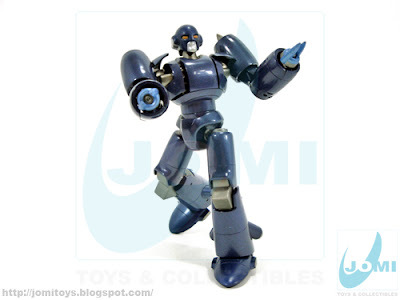 While not stunning, it is indeed one of the best figures from any of the waves. 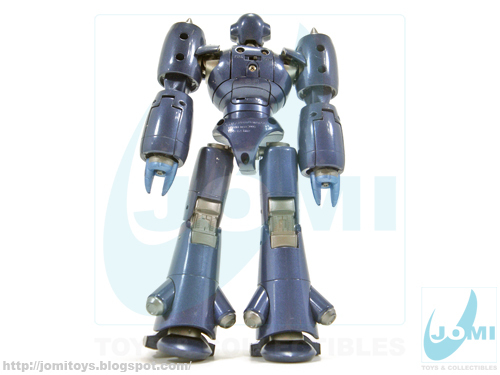 If it could be better, it´s a lot closer to the perfect side than anywhere near a bad figure. An absolute must! 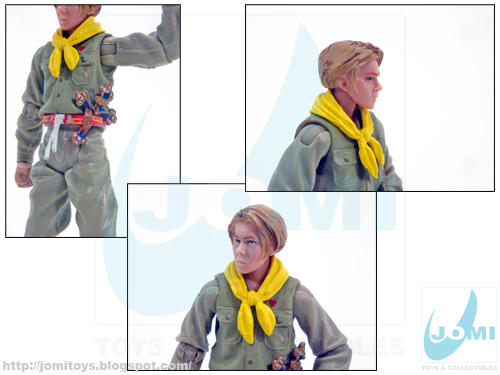 The Ace behind the high points: River Phoenix shinny replica head sculpt. Included Hidden Relic! The Cross of Coronado. The Ticket to Adventure. 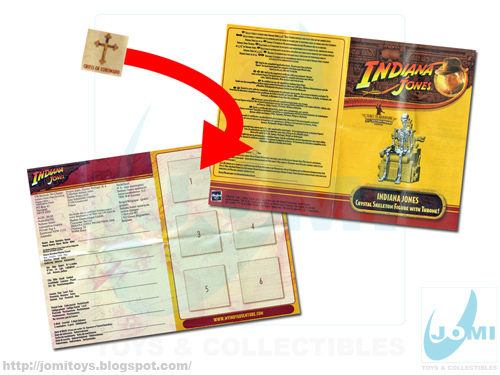 With every single-carded figure (and hidden relic crate) came a sticker. Collecting 6 could grant you a fantastic Crystal Skeleton Figure with Throne. 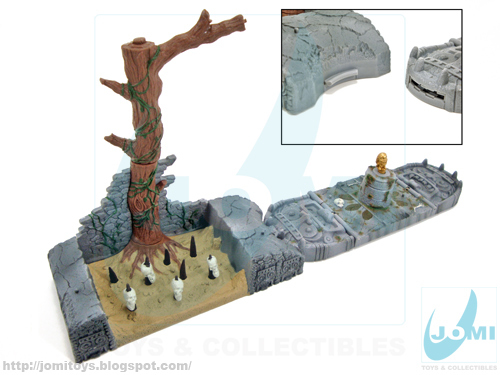 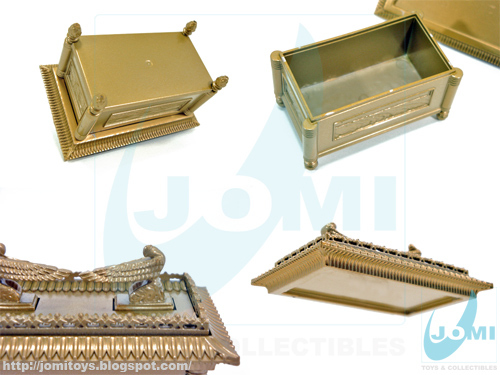 A deluxe set from Raiders of the Lost Ark wave, features one of the recognizable movie scenes including a "snap shut" trap. 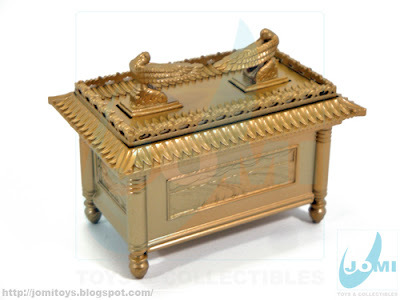 The Chachapoyan Fertility Idol, also known as Golden Idol. 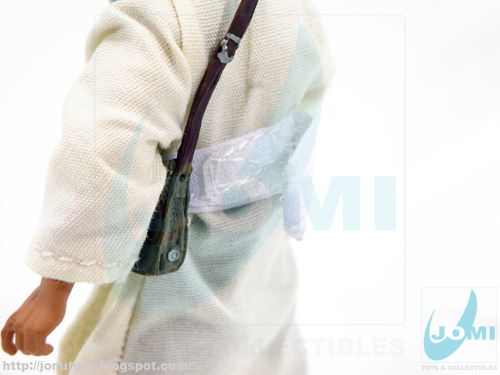 Included accesories. An open whip! 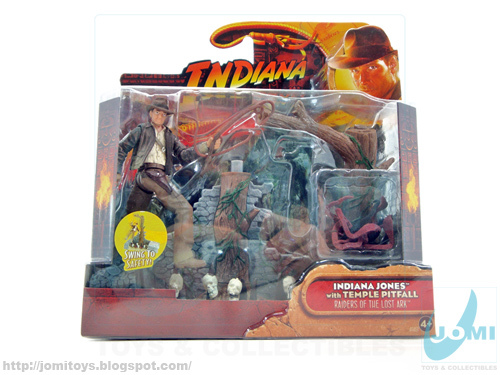 Figure: Indiana Jones. 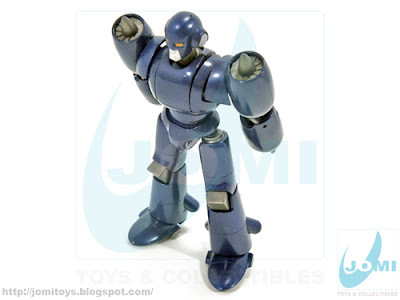 A poorly articulated figure. 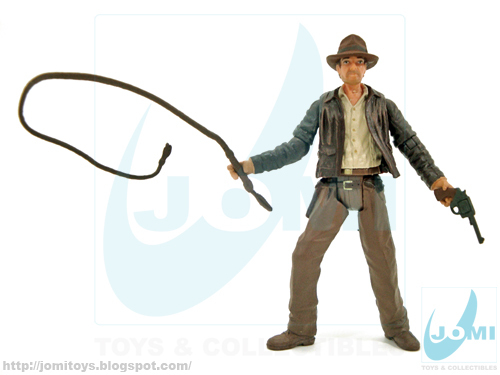 No wrist rotation, no knee bending. 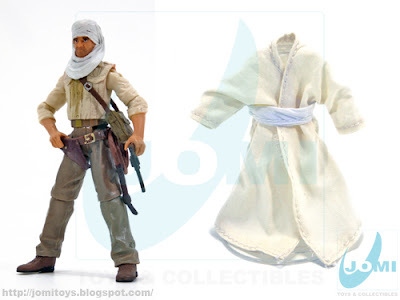 A lot like the post 95 Star Wars figures from Hasbro. 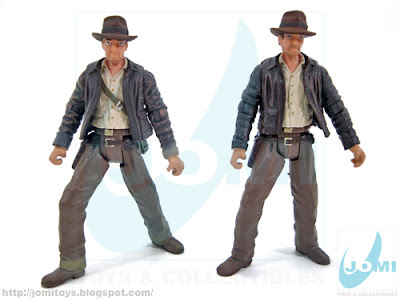 Awful detail when comparing to other Indy figures from the very same era. Check out Indy´s neck fresh out of the blister! 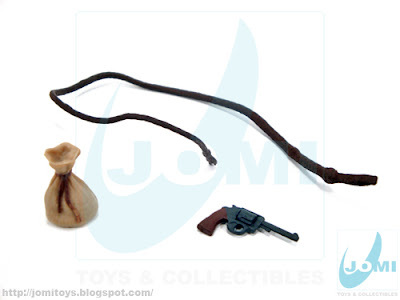 When accessorized it holds its own... just. 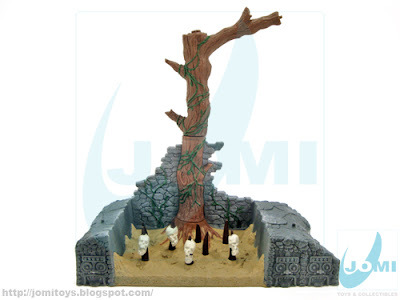 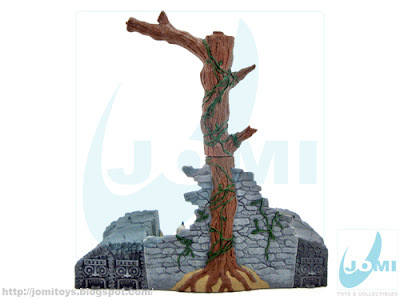 The small diorama is pretty cool, though. 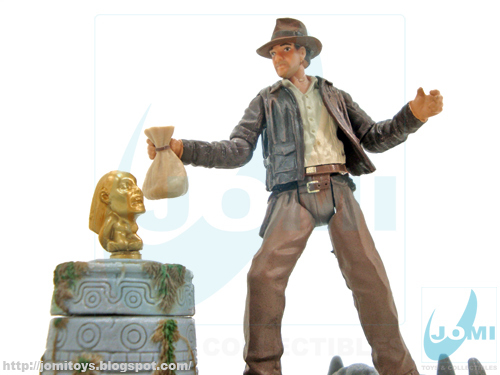 Snaps shut if "Indy" doesn´t solve the riddle. "Can Indy rescue the Golden Idol or will he trigger the deadly trap?" 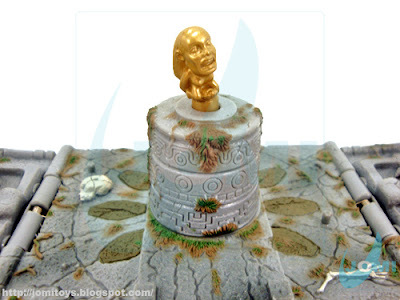 To "solve" it, one must rotate the base so that the Golden Idol pops up. 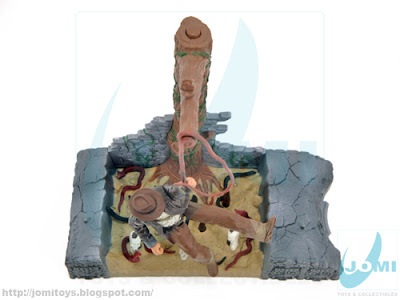 Disguised as local diggers, Indy and his loyal friend, Sallah, gain access to the excavation site of Belloq and the Germans. 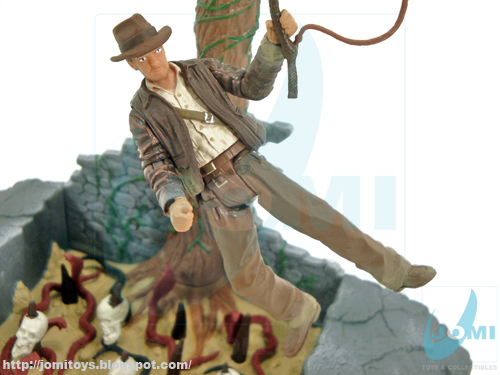 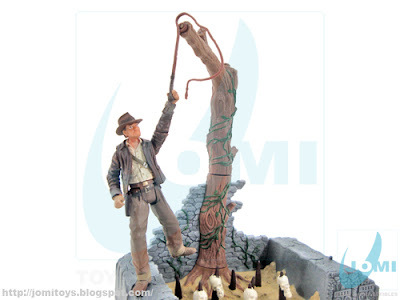 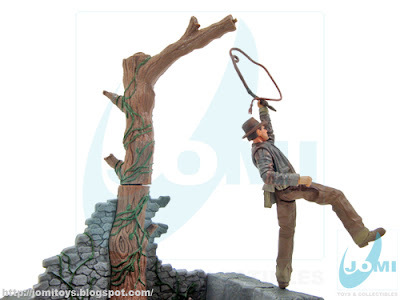 With Sallah´s help, Indy lowers himself by rope into the restricted map room. 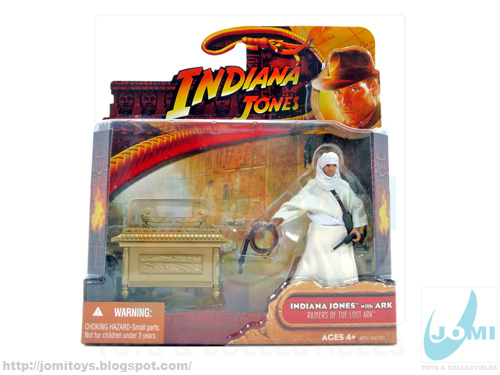 Inside, he uses the Staff of Ra to discover the true location of the Well of Souls, a buried chamber that hides the Ark of the Covenant. 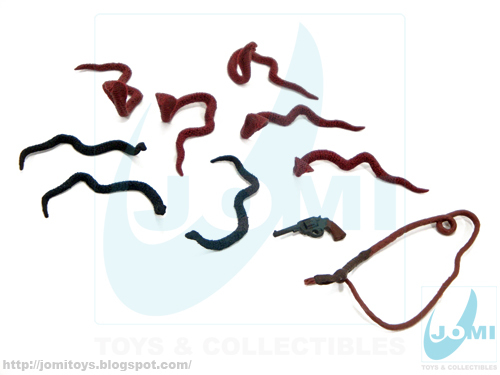 Included accessories: Pouch, whip and revolver. 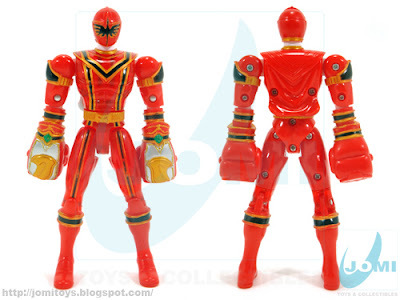 The mandatory set. 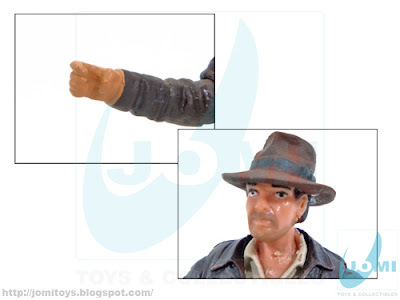 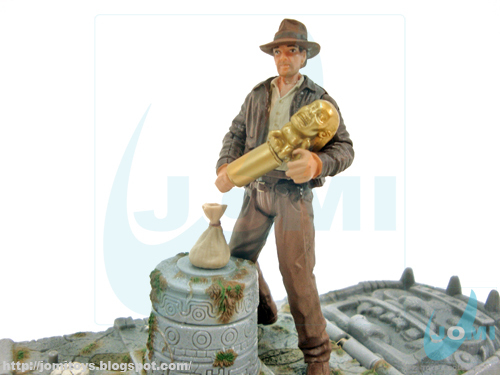 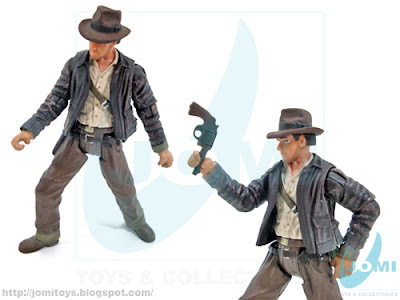 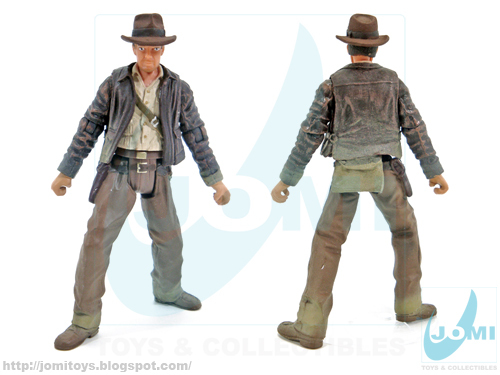 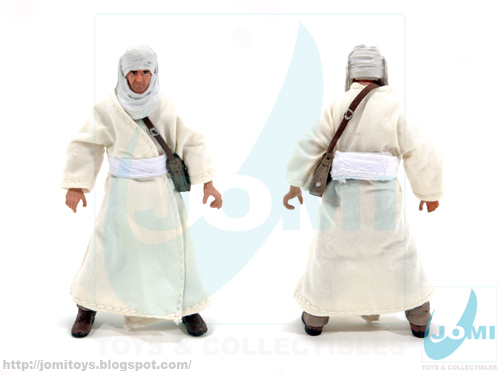 Figure: Indiana Jones, Raiders of the Lost Ark as dig worker. 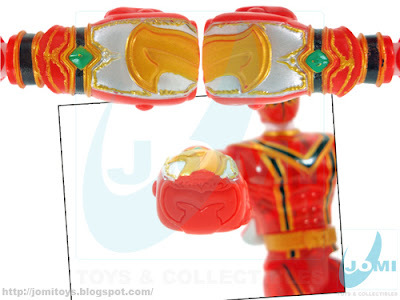 Neat combination, since whenever cloth is used for 4" figures, usually looks awful. In this case, shinny. Features a hook-and-loop fastener making it very easy to remove and put back again. Brilliant. 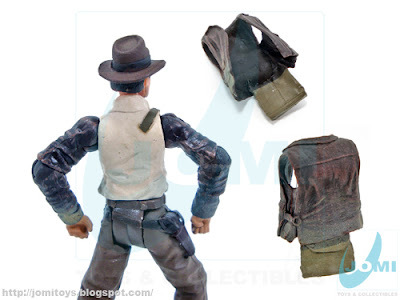 Once out of the disguise, the only thing left to remove are the rags. 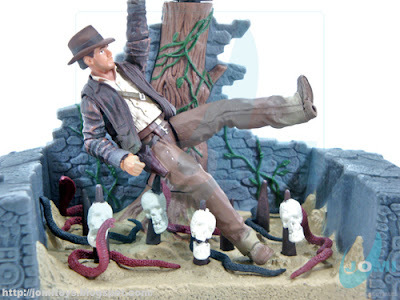 However, since they´re sculpted, no luck there. 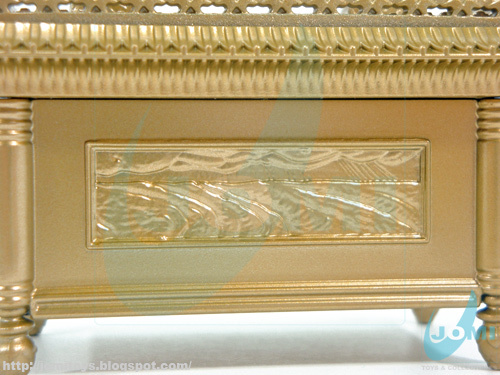 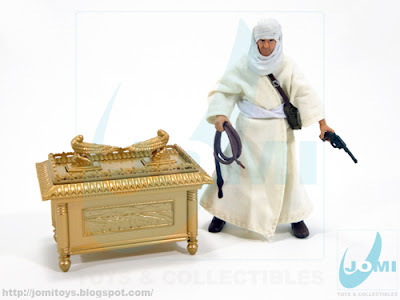 However great the cloth piece may be, this set´s star is without a shadow of a doubt, the Ark of the Covenant. Perfectly crafted, brilliantly sculpted, with tiny and accurate details on it. 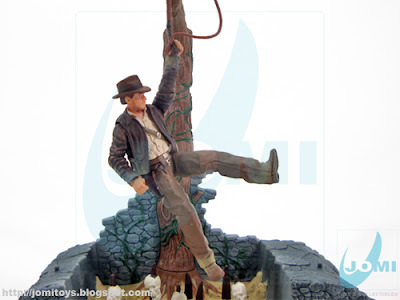 One of the best pieces I´ve ever seen. 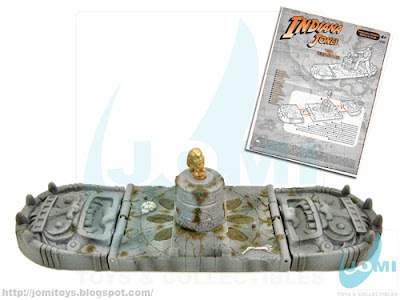 Opens (no sand there), has all the movie-like details and really looks golden. A true master and display piece. Figure: Mystic Force Team Red Ranger, Nick. The cape is molded to the figure and the tips act as triggers to activate the boxing moves. 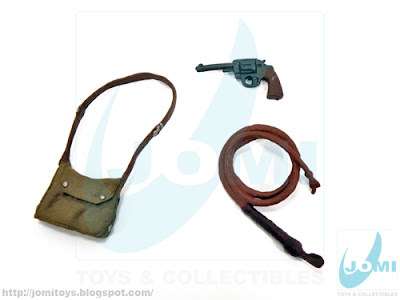 While one hand throws a punch, the other recoils in a very cool and smooth way. 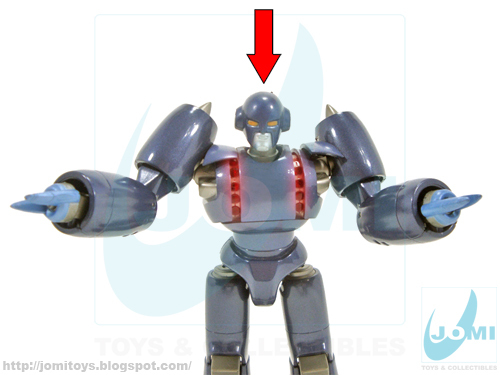 That is possible because this figure has 4 crank wheel sets in its arms. 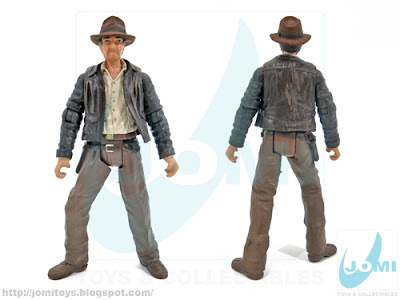 Figure is 6.4" tall. Rotating 360º wrists allow boxing moves to look "real". 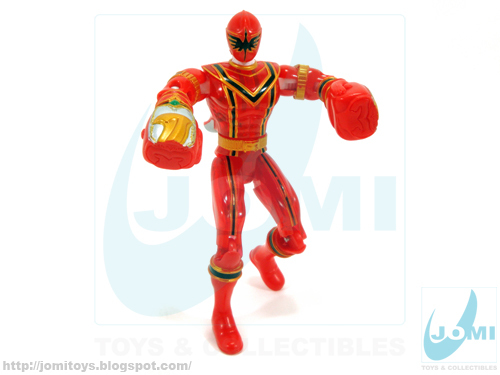 "Mystic Force Fighters" boxing gloves (Red Ranger Nick). 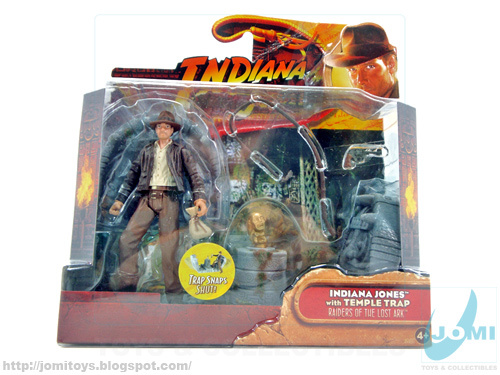 This figure was an "exclusive extra" mail-away offer for those who bought 2 jungle fury DVDs from Disney, Although I´m not sure if it was ever sold separately, it most probably was since the dvd sets are from 2007/2008 and the figure is dated 2005. 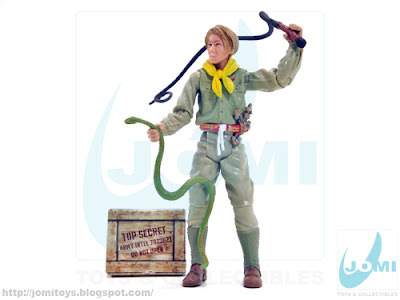 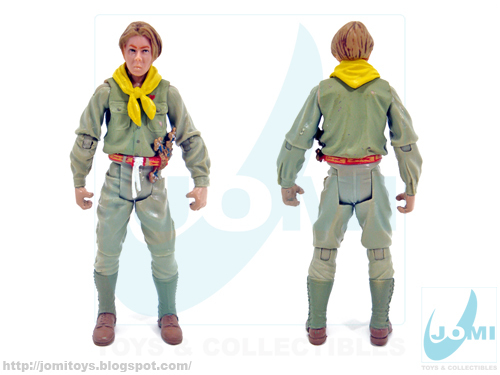 The figure itself has no relation to the Jungle Fury series, and many fans at the time may have questioned the reasons for such a uncontextualized offer. 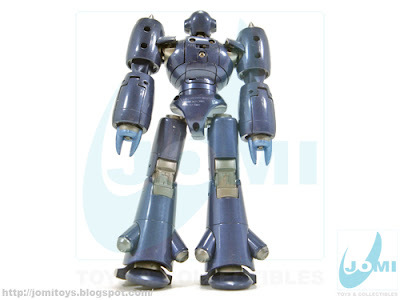 Another great character from the greatly underrated series, Iron, or Eon Kid. Central Federation Army soldiers group leader, Captain Magnum or as the European Iron Kid back card states, Gran. Known as "The Legend", at least by himself, Captain Magnum is a fierce and powerful combat CDF robot. 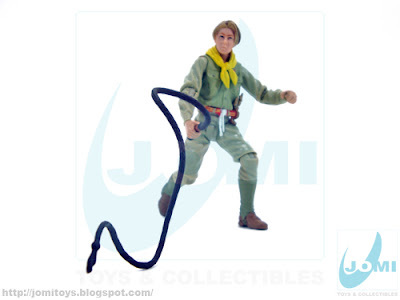 Figure: Gran (Captain Magnum). 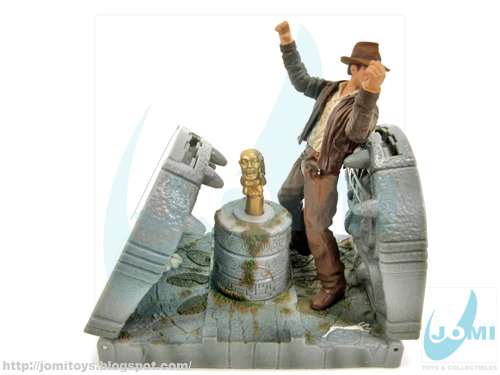 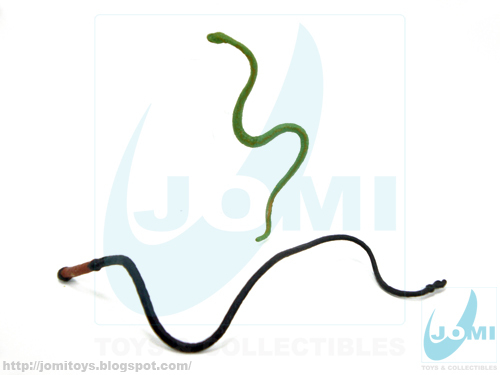 7.6" tall, features light effects powered by 2 button cells. Light effects can be activated in two ways. 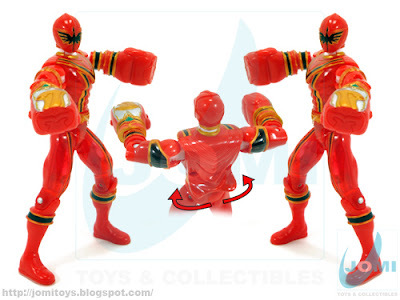 Pull: By pulling away Gran´s arms, reveals the feared multiple missile launchers and ignites the lights. 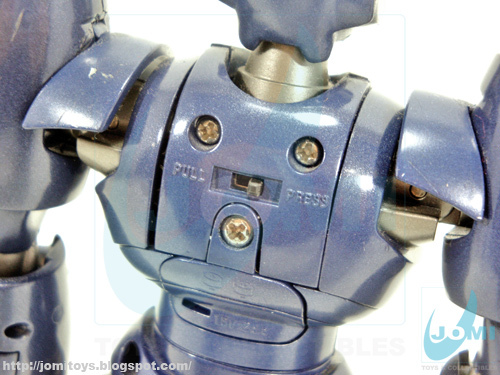 Press: Pressing down its head produces the same above effect. 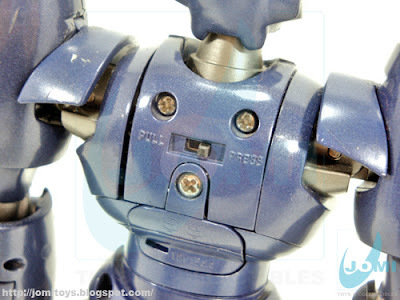 However, if the missile battery is closed, you won´t be able to see any light. 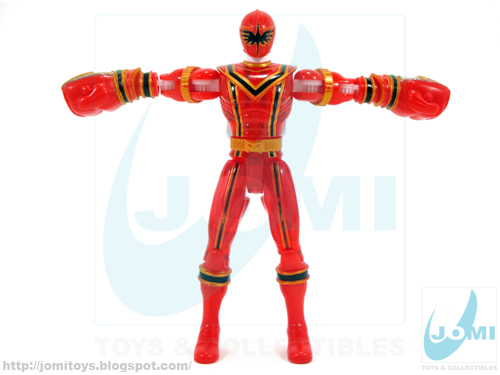 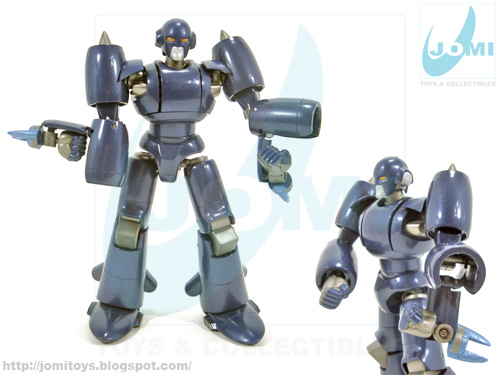 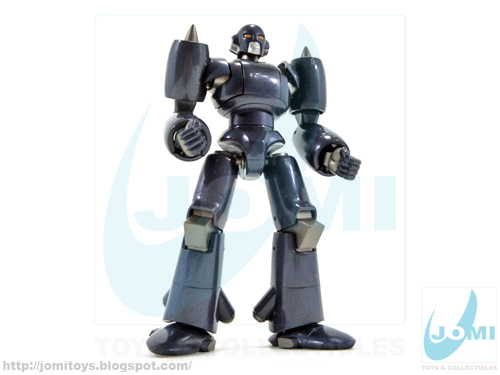 Captain Magnum is a formidable and sturdy fighter with enormous physical strenght. 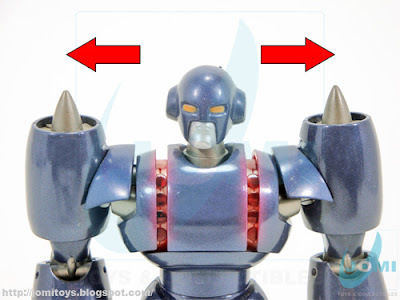 Besides both brute force and multiple missiles, the most feared weapon (or superweapon) is the pair of "Storm Gigacannons" installed in his forearms. 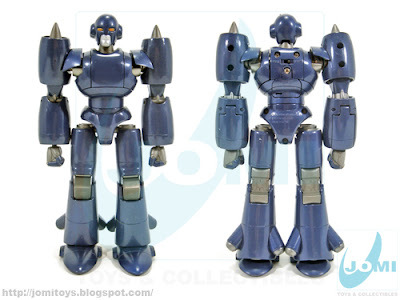 Similar to that worn by the CDF ground troops, his blue armor is apparently at a higher level. 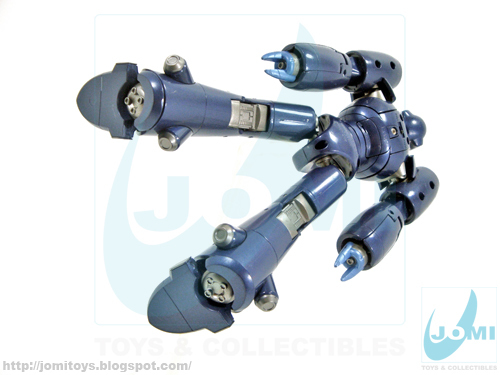 Magnum trusts its massive firepower to attack from a distance. 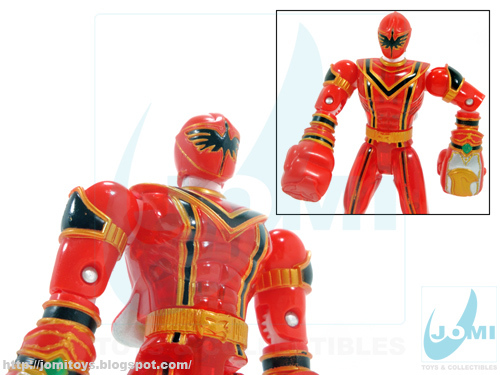 Able to withstand most attacks of his adversaries and beating stronger opponents. In fact, was able to stand up to Gigantor relatively evenly.